Bangers are designed to be cheaper and simpler to prepare than their National Banger cousins, but the drivers will tell you they are no less fun to race. With construction rules restricted slightly and the racing restricted to �nudge and spin� contact with no heavy hits, this is the ideal formula for the beginner to contact racing. 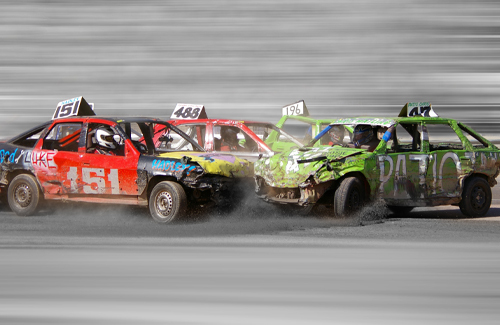 The cars may not have the power of some of their bigger National Banger cousins but their racing can be just as entertaining, with cars spinning and sliding all over the place. 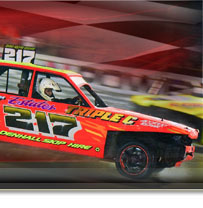 Team racing, Figure of 8 races and various other special events make these racers stars in their own right, with some doubling up with the National Bangers to ensure lively racing.